Style and versatility is at its finest with the Da Vinci 4 in 1 Emily crib! Stained in a clean and modern white, this color will accent all your future color schemes perfectly. 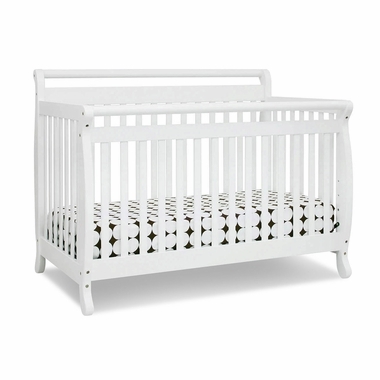 With supreme durability and top-notch hardware, this crib will last your child for many sleeping stages to come. Create a fantastic comfort transitioning to future sleeping stages by converting this crib into several other big kid beds with the optional rail kit. You and your child will sleep peacefully knowing Da Vinci has designed the best for your little one at terrifically affordable prices. Toddler/Day bed conversion guard rail, full size headboard and footboard included.